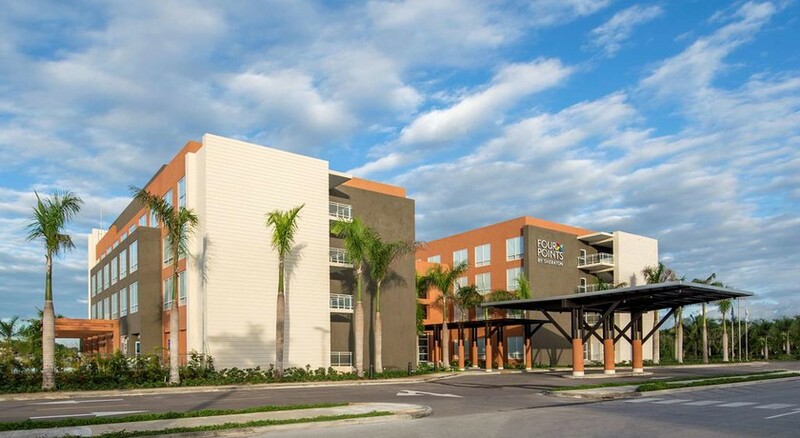 The plush façade of Four Points by Sheraton Punta Cana Village will surely thrill all your senses. 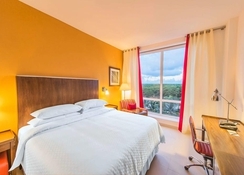 Located just 550m from the Punta Cana International Airport, the resort is an upscale property featuring separate sections for adults and families. This modern hotel has a geometric façade and is only a few kilometres from the Corales Golf Course, where you can practice your swing. Playa Juanillo is a few minutes away by car, where you can enjoy the fine sandy beach along with several water sports offered there. The hotel features a spectacular swimming pool along with some splendid bars and restaurants. It also houses a state of the art and spacious meeting rooms capable of handling small business conferences. 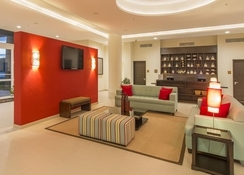 The Four Points by Sheraton Punta Cana Village is only a few minutes’ drive from the beach. The hotel provides a free scheduled shuttle to the golf course La Cana. It also gives a free shuttle to the Six Senses Spa, Punta Cana beach and the Punta Cana Nature Reserve. 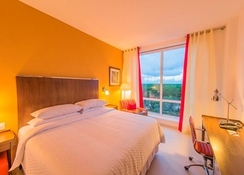 The hotel is 16km from the Manati Park and 17km from the Bavaro Beach. Elegantly decorated rooms take you on a different level of luxury. 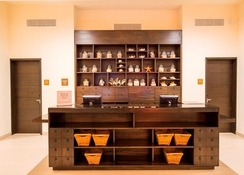 The aesthetic appeal of the hotel is widened by its ornate wooden furnishings. 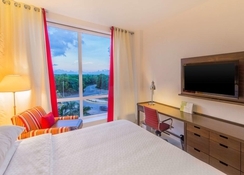 The rooms are equipped with flat-screen TVs. The air-conditioned rooms are fully equipped with pleasing décor, writing desk, centralised heating and cable TV. You can just relax in your rooms watching your favourite news channel or movie on these televisions. Guests can avail room service at any hour of the day if you desire to eat in the privacy of your rooms. The bathrooms are luxurious offering bath tubs, hair-dryers, bathrobes and separate shower and bath areas. The delightful Ara Restaurant here serves international cuisine and is open from 6:30am to 10:30pm. 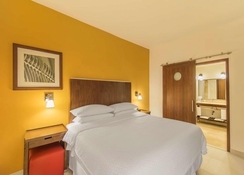 The hotel is situated in the heart of the city and amidst a busy commercial area. It provides direct access to shopping and plenty of dining options in the city. Kid’s meals and special diet meals can be ordered by prior request. The hotel has a lovely outdoor pool supplied with pool/beach towels. The well-maintained fitness room here boasts of modern equipment. You can come and exercise at any time of the day and continue with your fitness regime even while travelling. The spa offers rejuvenating massages and therapies. There are facilities like Tennis Court and non-motorized water sports.